In memory of Kim Porter: 1971 - 2018. This week's Creative Weekly: Diddy's ex, Kim Porter passes away, The Weeknd sued over 'Starboy' comics, Missy Elliot & Timbaland sued by songwriter over Aaliyah Royalties and Brooklyn Street to be renamed in The Notorious B.I.G's honor. Kim Porter, mother of Diddy's three children passed away on Thursday (Nov.15) in her Los Angeles home. The actress/model had been reportedly battling with pneumonia for several weeks, but official cause of death is still unknown. Dispatch audio obtained by TMZ alludes to cause of death being cardiac arrest. 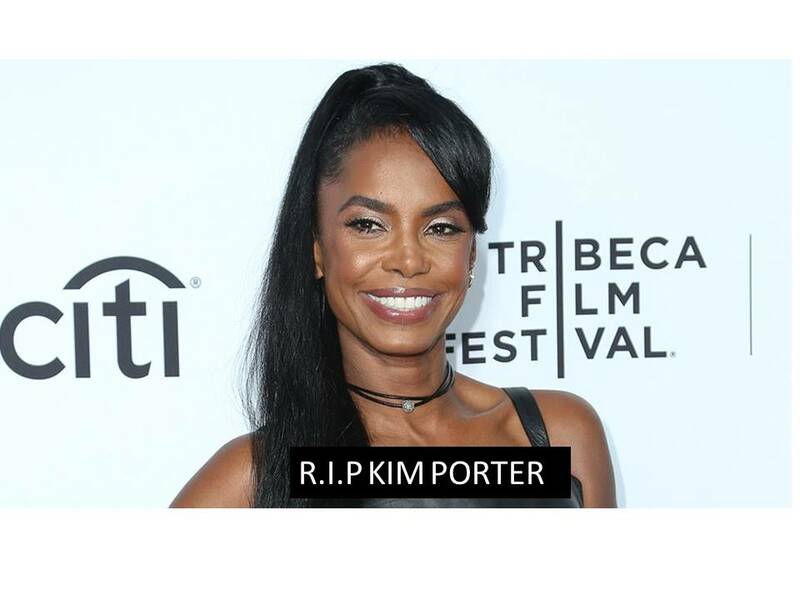 "Sadly, I can confirm the passing of Kim Porter. I ask that you give the families privacy at this time," Porter's representative Cindy Berger told TMZ. Porter, 47 and Diddy 49 dated off and on for 13 years before officially calling it quits in 2007. The couple have three children together - 20-year old son Christan Combs (aka King Combs) and 12-year old twin girls Jessie James and D'Lila Star. She also has a son from her previous relationship with Al B. Sure named Quincy Brown (or simply Quincy) who is an actor on Star. Diddy raised Quincy alongside his other three children. "For the last three days I've been trying to wake up out of this nightmare," Diddy wrote on Instagram about his relationship with the late Porter. "But I haven't. I don't know what I'm going to do without you baby. I miss you so much. Today I'm going to pay tribute to you. I'm going to try and find the words to explain our unexplainable relationship. We were more than best friends, we were more than soulmates. WE WERE ON SOME OTHER SHITT!! And I miss you so much." The Weeknd is being sued for using his alter ego 'Starboy' in a comic book. According to TMZ, comic book writer Eymun Talasazan says he created a comic book universe four years ago that revolved around R&B and rap stars. Talasazan claims he approached The Weeknd's team in 2017 about including Starboy into his work shortly after the release of Abel's 2016 single of the same name. Although they never ended up working together, Talasazan claims he filed for a trademark on "Star boy" as a comic book hero. The Weekend filed an opposition to Eymun's trademark alleging that he incorporated comic books into his trademark 11 days after the Starboy comic book was announced. Eymun Talasazan claims The Weeknd's Starboy comic book released in connection with Marvel contains "near identical premise" as the one he pitched to the singer's people in 2017. Talasazan is suing The Weeknd for trademark infringement and wants all copies of the comic book recalled, impounded and destroyed. Missy Elliot and Timbaland are being sued for song theft. According to court documents obtained by TMZ, Terry Williams claims he helped Missy write and produce a song called Heartbroken around 1994 or '95. The song was eventually released by Aaliyah in 1996 without Terry's knowledge. Timbaland was credited as the producer and in the lawsuit, Mr. Williams says neither Tim nor Missy ever compensated him for his input on the record, despite initial agreements with Missy to share the profits. A rep for Missy has come out to deny Williams claims, saying: "There is not now and never was any 'agreement' between Missy Elliott and Terry Williams. As the exclusive owner of her own lyrics and vocals that she created, Missy is not obligated to pay Terry Williams money." He continues, "These claims against Missy are completely meritless and without any basis in fact or law, and are simply another facet of the original scheme that was devised to artificially extract money from Missy by exploiting the fact that Terry Williams, in his capacity as a music producer, happened to have recordings of Missy from more than 20 years ago." The record in question went on to appear on Aaliyah's "One In A Million" album, which sold 8 million copies worldwide. Williams believes he's entitled to a portion of the profits and he's suing Missy, Timbaland and Aaliyah's estate. Brooklyn Street To Be Renamed In Honor Of The Notorious B.I.G. The Brooklyn block where The Notorious B.I.G. grew up in is set to be renamed in his honor. According to Rolling stone - Christopher Wallace Way will be located on the stretch of St. James Place between Gates Avenue and Fulton Street. LeRoy McCarthy, who spearheaded the initiative, told RS that he hopes the sign will be officially completed before Biggie’s birthday on May 21st. In a video of the Community Board 2 hearing, Transportation and Public Safety Committee Board Chair - Juliet Cullen-Cheung, noted that the effort to dedicate Christopher Wallace Way has received support from Council Member Laurie Cumbo and New York Congressman Hakeem Jeffries. the dedication is expected to be approved by the City Council and Mayor Bill De Blasio. Creative-Weekly is a highlight segment on some of hip hop's moments you may have missed. Be sure to follow us on all platforms for more updates.